Makeup is an incredible asset we can use to change our look within minutes. If you’ve ever watched a makeup tutorial from a beauty blogger, you know what we’re talking about here. Ever want to change your face shape? Honestly, there are some pretty simple makeup tips to change the shape of your face. Before you panic, you don’t have to do a fully contoured look to change your face shape! One of the most underrated makeup tips to changing the shape of your face is simply filling in your brows. Your brows can make such a huge change to the look of your face, because they really aid in framing your face. Changing the way you fill in your brows can be an easy and incredible tip to change your face shape. 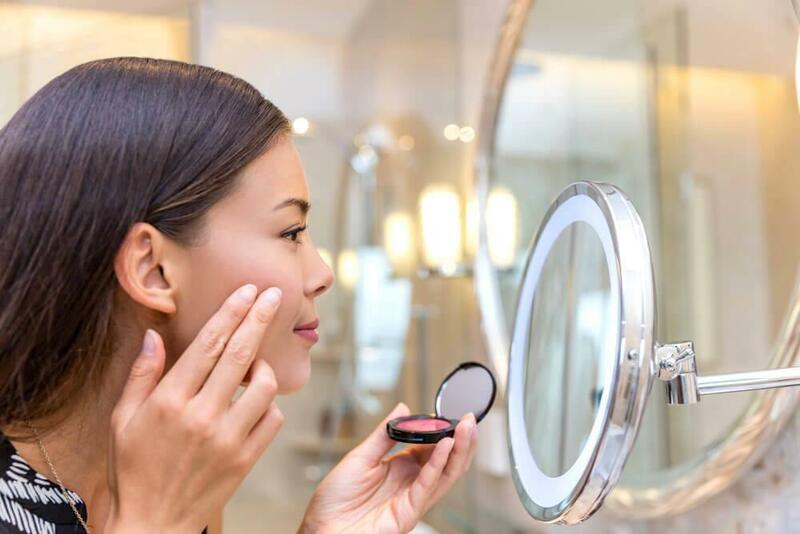 Another one of our favorite makeup tips that can change the shape of your face is applying a natural color highlighter to the tops of your cheekbones. Adding a subtle highlighting color lightly to the tops of your cheekbones can transform your face shape and really emphasize your cheekbones in a transformational way. Finally, one of our other simple makeup tips that changes the shape of your face relates to concealer. Instead of just applying a dab or two under your eye, create an upside down triangle with your concealer and blend until it’s smooth. This creates a natural pop to your under eye area and really highlights that portion of your face. Do you have a favorite makeup tip that changes the shape of your face?